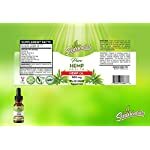 HomeHealth and HouseholdVitamins and Dietary SupplementsSupplementsEssential Fatty AcidsOmega OilsOmega 3-6-9Pure Hemp Oil Extract Drops: 500 mg Cold Pressed Organic Leaf & Seed Herbal Oils Supplement for Daily Use – Anti Anxiety, Stress Relief, Pain Management & Skin Health – Peppermint Flavored – 1 fl. oz. 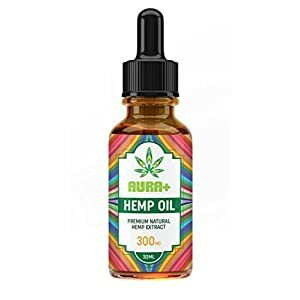 Pure Hemp Oil Extract Drops: 500 mg Cold Pressed Organic Leaf & Seed Herbal Oils Supplement for Daily Use – Anti Anxiety, Stress Relief, Pain Management & Skin Health – Peppermint Flavored – 1 fl. oz. Struggling with pain on a daily basis can be debilitating. It can force you from doing the things you love and even make everyday tasks seem unbearable. 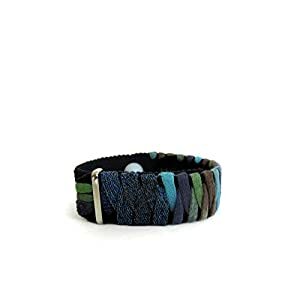 However, many people have found relief through the natural healing properties of hemp oil. 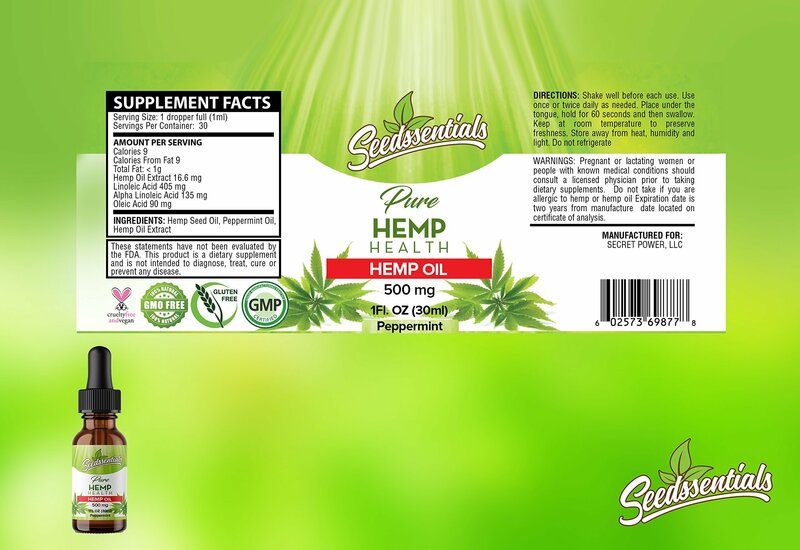 At Seedssentials, our 500 mg hemp oil extract can provide daily relief of chronic pain and other issues. Millions of people struggle with anxiety and stress every day. Whether it is a stressful day at the office or anxiety, finding relief for issues like these can be difficult. Studies have shown hemp oil extract is extremely effective at treating issues related to anxiety and stress. 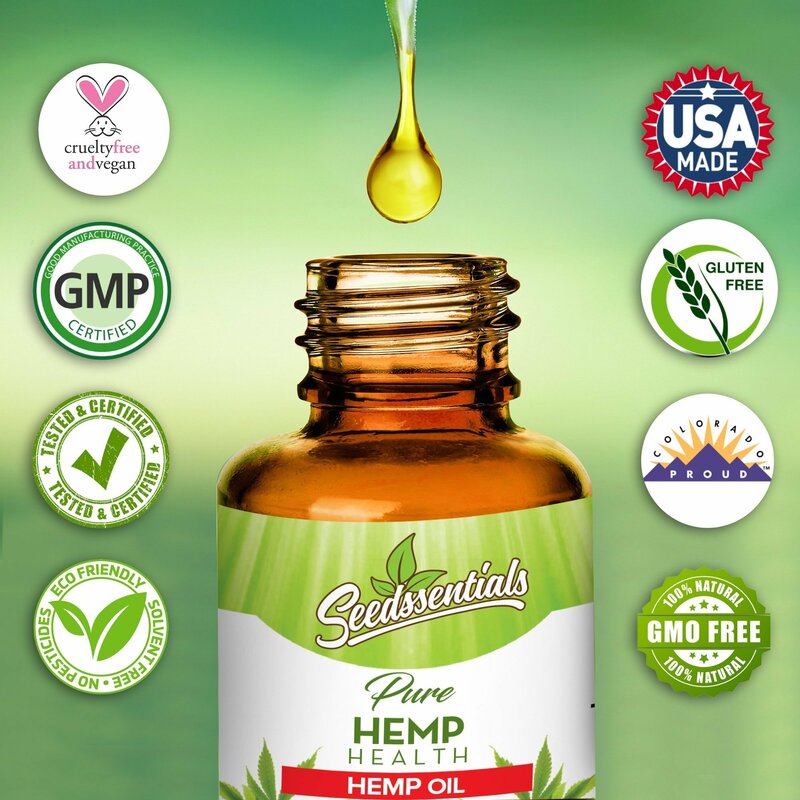 Seedssentials Pure Hemp Health hemp oil can provide mood heightening properties, allowing for stress and anxiety relief. Hemp oil can also help regulate healthy sleep, which can do wonders for mental health. Whether from an injury, illness or disease, inflammation in your joints, muscles or anywhere else can be difficult to deal with. However, studies have shown the natural properties of hemp oil can be used as an anti inflammatory. 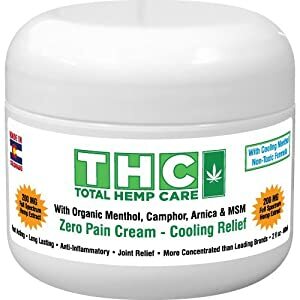 By taking daily doses of Seedssentials hemp oil extract, you can help to soothe inflammation and relieve pain. Here at Seedssentials, we know you care about what you put in your body. 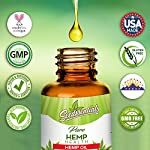 Our hemp oil is created in a GMP certified facility with organically-farmed, hand-harvested Colorado hemp, processed using a CO2 extraction technique with hemp seed oil as a base. 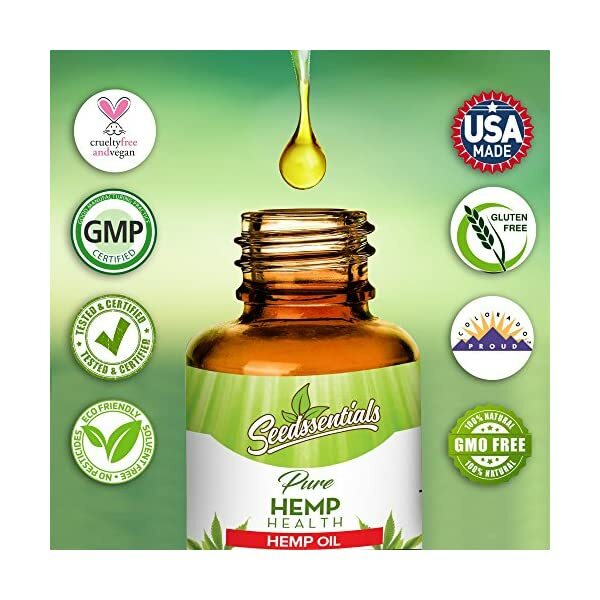 The result is some of the healthiest, greenest hemp oil available on the market. Our product also doesn’t contain gluten or any GMO. 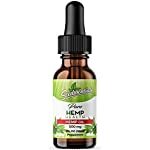 Our 1 fl oz bottle of peppermint flavored hemp oil with dropper makes it easy to deliver the right dose every time. Take once or twice daily as needed, shaking the bottle before each use. Place under your tongue, hold for 60 seconds and swallow.